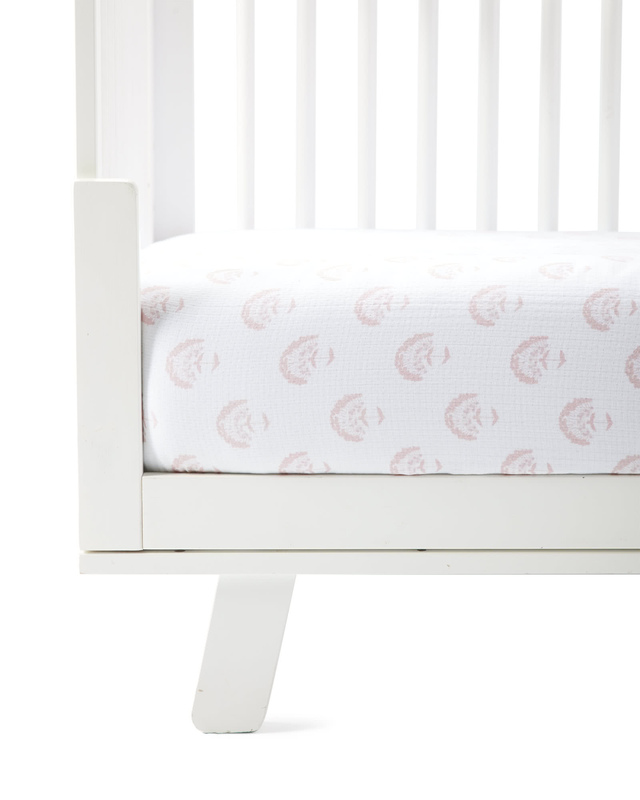 Astoria Crib SheetAstoria Crib Sheet, Pink Sand alt="Astoria Crib Sheet, Pink Sand"
Print Designed in-house, our exclusive pattern makes the nursery feel a little more special. It features the same variations in tone as the carved block prints that inspired it, bringing a handcrafted charm we love. For extra softness, we worked with one of the best mills in Portugal to develop our very own cotton muslin. It’s triple-layered for a bit of loft, breathable to keep baby comfortable through the night, and specially washed for a relaxed and rumpled look. It’s also Oeko-tex certified, which means it’s woven from only the purest materials and free of harmful toxins.